7days/wk, from 8:00 am to 8:00 pm. We are just off of Exit 11 on Route 101 on the Stratham/Exeter line. 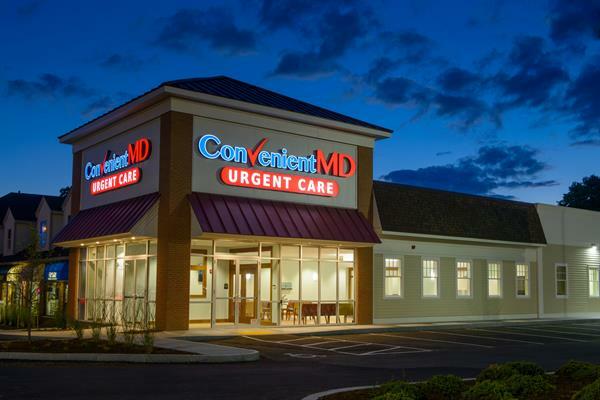 ConvenientMD Urgent Care offers high-quality, fast and affordable medical care for illness and injury, seven days a week, from 8am to 8pm. There is always a physician on site at our 8 clinics, supported by a full medical team, ready to treat all ages (from newborns to the elderly) in a welcoming and friendly environment. There are no appointments, just walk in and be seen quickly. Patient’s average time from check-in to check-out is under 1 hour, versus more than four hours in the ER. ConvenientMD treats everyday illnesses, such as colds, flu, bronchitis, asthma attacks and dehydration, as well injuries such as broken bones, wound repair, sprains/ strains, and burns - all for the cost of an office visit. In addition, we work with area employers to assit them with their occupational health needs (DOT Physicals, Pre-employment exams, immunizations, drug and alcohol testing, etc.) and work-related injury treatment. Full service urgent care center, open 8am – 8pm, every day!